Determining your home’s value is crucial for both home purchase and mortgage refinances. For home purchase, you can see if the seller’s price matches the actual home value. For mortgage refinancing, the appraisal can decide if the homeowner is even qualified to refinance at all. An appraisal is when an un-biased 3rd party is paid to come to your home in order to determine your home’s value. The appraiser is a licensed and certified professional who is qualified to give their opinion of a home’s value. An appraisal is required for both home purchases and mortgage refinancing and is incredibly important. It usually takes about 30-45 minutes and the appraiser will take note of the home’s features. The appraiser will take photos of both the interior and exterior of the home, so it is important to clean the home and show off its best angles! The appraiser will also compare your home to other properties that have recently been sold with similar features and size so that it’ll be a fair comparison and estimate. Once the appraiser has determined your home’s value, the lender will use this information to decide how much they will loan. The lender will also use this information to see if the mortgagee is eligible for a mortgage refinance. The cost of an appraisal varies by state, but they typically cost about $300-$500 for a standard single family home. 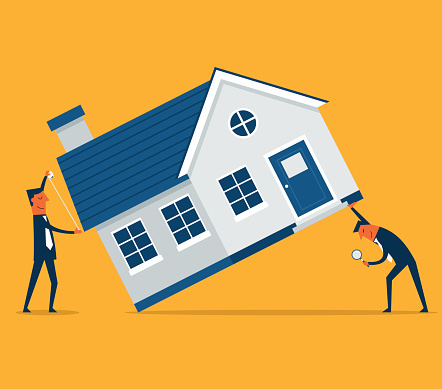 If the home is bigger, then the appraisal will cost more because it will require the appraiser’s additional time because there is more area to cover. Appraisals are not paid at closing, they are paid at the time of the appraisal. This is because whether or not the loan closes, the appraiser still put in the work and completed the task. If you are looking to refinance your mortgage and you are confident that you will get the terms that you want, then paying for the appraisal may be well worth it. If you are not as confident as you would like, you can try to self-asses. You can search online to see how much other homes in your area are selling for to get an idea of how much your home is currently worth, but it may not be accurate. Preparing a home for an appraisal should be taken seriously. It is like preparing to meet your significant other’s parents for the first time. It is still important to clean up and show off your best features, even if the best parts are hidden. Having a messy and dirty home can hide some of the best features of the home, which would definitely affect the outcome of your appraisal. Why is an Appraisal So Important? Seeing how much your home is worth is important for both home purchases and mortgage refinancing, but even more so for mortgage refinancing. If your home’s value has decreased over time and your home equity is now less than 20% of your mortgage, you’ll end up paying for PMI (private mortgage insurance). If your home’s value has decreased and now your mortgage costs more than what your home is worth, you are underwater and not eligible for a refinance. An appraiser’s job is to give you the home’s current value and nothing else. This means that when you get your home’s value, it isn’t guaranteed to increase over time. There are times when home values have gone down and the homeowner has lost equity. The appraiser is not responsible for giving the anticipated value of the home. If the home’s value has decreased, your appraiser did not mislead you to get your mortgage. If you are not happy with the outcome of your appraisal, you can petition their decision by writing a letter of appeal to the lender. It’s not very likely that the appraiser will change their mind, but if the homeowner has evidence of a significant mistake there’s a good chance of success. An example would be if the appraiser incorrectly listed the square footage or number of rooms.